The following is an alphabetical list of bats that can be found in Georgia. Little Brown Bat (Myotis lucifugus) which is common in most of the US. These bats are small, with a wingspan of 8 inches, and a weight of less than half an ounce. The females form large maternity colonies, often in buildings such as attics or barns. Young are born in June, and can fly by August. They can live up to 30 years apparently, though average lifespan in the wild may be about 7 years. They hibernate in the winter. Big Brown Bat (Eptesicus fuscus) is also common in most of the US. It has a wingspan up to 13 inches, and can live up to 19 years in the wild. They mate in October, before winter hibernation, and after a delayed fertilization and a 60 day gestation, give birth to one or two baby bats in early June. Mexican Free-Tail Bat Tadarida brasiliensis is common in the south. It has a wingspan of about 8 inches, a weight of half an ounce, and can live up to 16 years. These bats will form huge colonies, up to several million members in some cases. They mate in the fall, but delay fertilization, and one pup is born in early June, and can fly about eight weeks later. All of these bats often roost in man-made buildings, and love the attics of homes. None of these animals are actually blind, but they do use echolocation in order to aid in navigation on the wing. They are all insectivorous, catching insects on the wing. BAT BEHAVIOR: Bats are nocturnal. They sleep in roosts during the daytime, and emerge at dusk. If it’s a colony of bats living in a building, they crawl to the edge, and fly out. First they head for water and get a drink, skimming the surface on the wing. They then feast on flying insects, primarily moths and beetles. After a while they get full and head back to the roost in order to rest. They then fly back out to feed some more. They may make several trips per night. Bats use echolocation in order to aid in navigation and feeding on the wing. They emit high-pitched chirps and read the sonar-like returns of the sound waves as they bounce back off of objects. Roosting preference depends on the species and even gender of the bats, but we are only concerned with colonizing bats such as the three mentioned above. These colonies are composed primarily of females. The males roost alone in solitary areas, such as trees. The females form huge clusters, very frequently in man-made architecture such as church towers, attics, bridges, etc. any of the southern bats migrate to different areas as climates change. NUISANCE CONCERNS: The primary concern involves large colonies. A large colony is not only noisy and unsettling at dusk and dawn as swarms of bats fly in and out, but the main problem is that they leave their droppings and urine behind. With a large colony of bats, this really adds up. After a while large piles of droppings form. Not only do the droppings and urine corrode wood/metal, but the weight of them can collapse the ceiling below the attic – I’ve seen if a few times. The waste has a foul odor, but it can also grow fungal spores that people can breathe in, leading to the lung disease Histoplasmosis. BAT DISEASES: Histoplasmosis, a fungal infection of the lungs that results from the fungus that grows on nitrogen-rich bat droppings, but it’s also important to keep in mind the fact that the majority of the cases of rabies transmission in the United States have come from bats. This may be because people are less cautious around bats than say, rabid raccoons, or because bats are very small and can bite and infect people in their sleep. 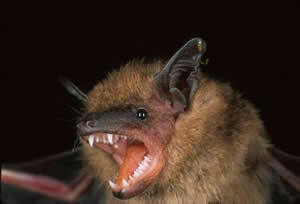 Or perhaps the particular strain of rabies that bats or certain species of bats carry is more likely to infect people. Regardless, if you see a sick bat on the ground, don’t pick it up, because you might get bitten! HOW DO I GET RID OF BATS? This is where Dixie Wildlife Control can help! Bat removal is not a simple task. The proper way to get rid of them is to exclude the colony – seal off 100% of possible secondary entry points on the home and remove all of the bats from the building safely. It is often very challenging, and it must be done just the right way. Seal up all auxiliary entry points, install one-way exclusion removal devices on the primary bat entry and exit holes into the house or building, and even clean the mess afterward. Even if you have a single bat flying around inside your house, Dixie will help you get it out safely. Dixie performs a full inspection of the building. This is to determine exactly how the bats are getting in and out. An inspection of the attic is also performed. 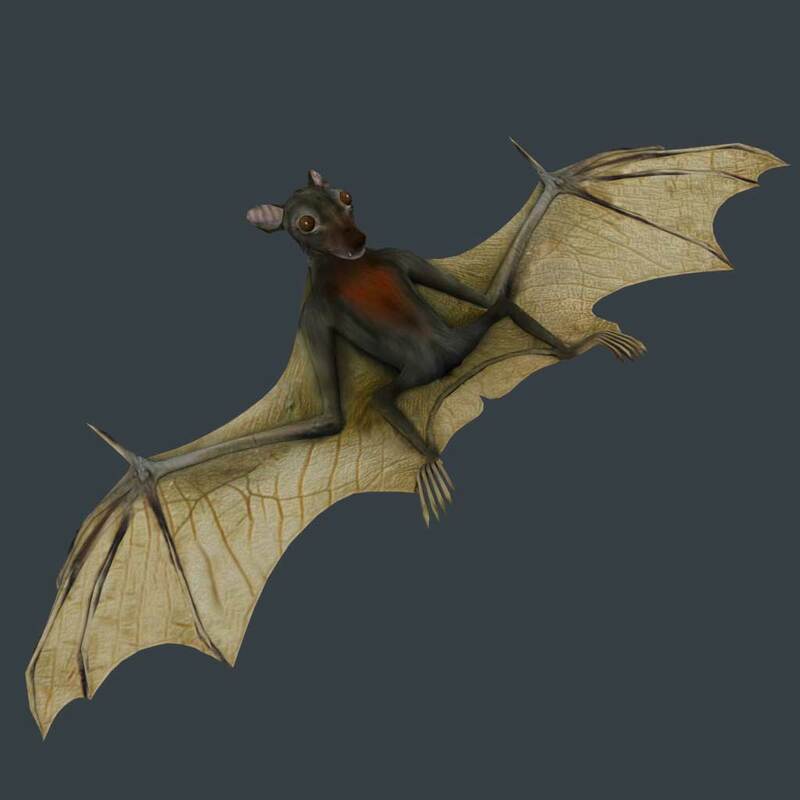 The species of the bat is identified. This is important because different bats have different birthing and hibernating seasons. Dixie performs bat exclusion work WE DO NOT ATTEMPT TO TRAP THEM. Bat exclusion which is the process of letting them fly out, but not back in, to the building. Dixie seals up the house to keep bats out permanently. Most of this is done prior to the exclusion – With care to ensure not to seal up the primary exit points while any bats are inside!! Clean the attic or walls, or space where the bats lived and defecated.